Finally some magnificent weather for the BCFC April Comp which meant plenty of anglers getting out to enjoy the calm seas and sunshine. A total of 5 anglers weighed 12 fish for a total weight of 16.02kg and 454.1 points. 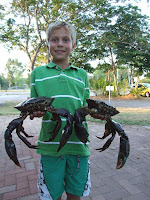 An additional 16 fish were released and 3 nice mud crabs were also weighed. 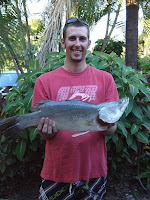 Congratulations to all those who weighed fish and it was great to see so many at the weigh-in and BBQ. 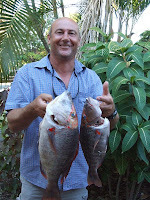 A big thankyou to Kalven and his crew for the great job on the BBQ - another awesome feed after a big weekend of fishing!